What’s the one with smashing pumpkins in? I was searching for a quote from Marge v The Monorail, and cannot believe just how many brilliant lines are in that episode..
Marge: Homer, there's a man here who thinks he can help you. Marge: No, he's a scientist. Marge: My name is Marge Simpson and I have an idea. It may sound a little boring at first. Mayor Quimby: Chat away. I'll just amuse myself with some pornographic playing cards. Homer: Marge, I wanna be a monorail conductor. Homer: It's my lifelong dream! Marge: Your lifelong dream was to run out onto the field during a baseball game, and you did it last year, remember? Apu: Pardon me, but I would like to see this money spent on more police officers. I have been shot eight times this year, and as a result, I almost missed work. Marge Simpson: Well, I think we should spend the money on something the whole town can be proud of. Homer: Like a giant billboard that says "No fat chicks"? JonnotheMackem and niceonemarra like this. you know I can even hear chief wiggums voice in my head saying it!! Some Random Guy likes this. Two best episodes above. No arguments. 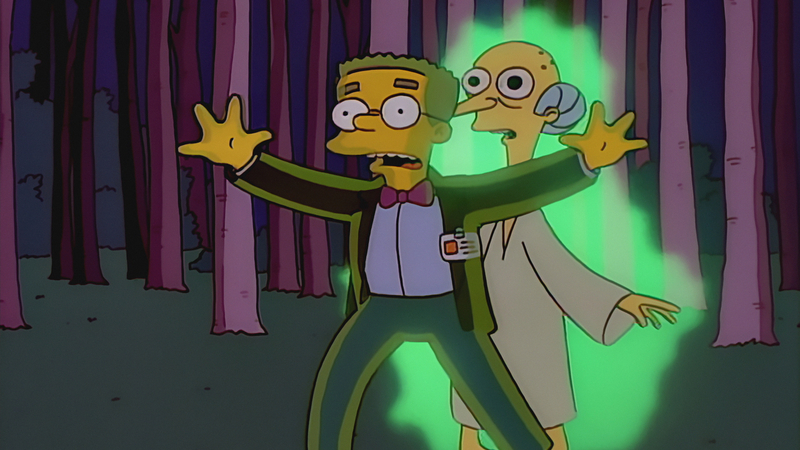 What's your first name Mr Burns?